Here’s some stuff I’ve done in the past weeks. I’m gearing up for spring, so I’m making quite a bit of work for an upcoming show (TBA) and of course First Fridays in Old City Philadelphia as soon as it gets warm enough. 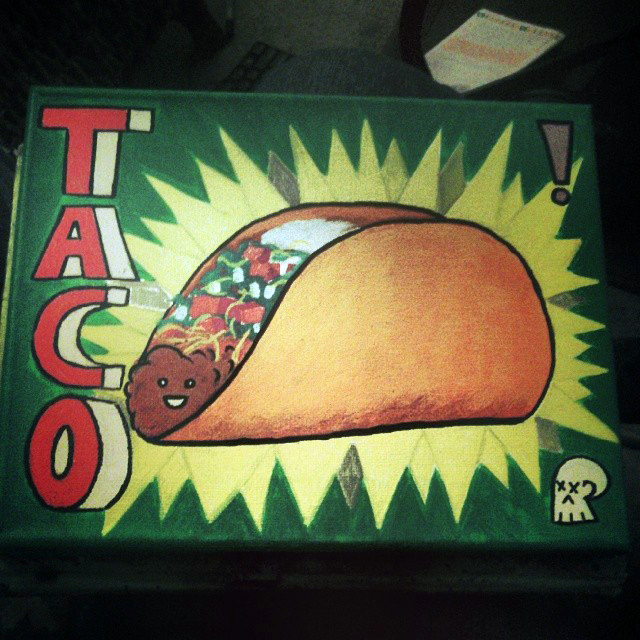 This taco painting was inspired by the Taco Tuesdays at Tattooed Mom’s in Philadelphia. Their newest taco sounded so good, but it was about 0 degrees out so I didn’t want to walk or ride there. 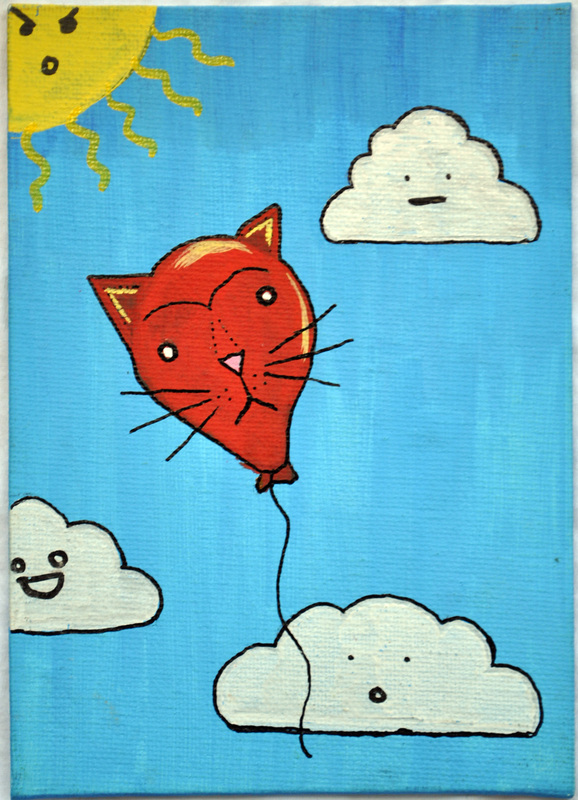 So the thoughts of tacos remained in my head, resulting in this painting. Oddly enough, the owner of Tmom’s saw a work in progress pic of it on instagram and bought it. Expect to see the image on some flyers and whatnot, and yes, I did eventually get to try the Korean pork taco and it was awesome. 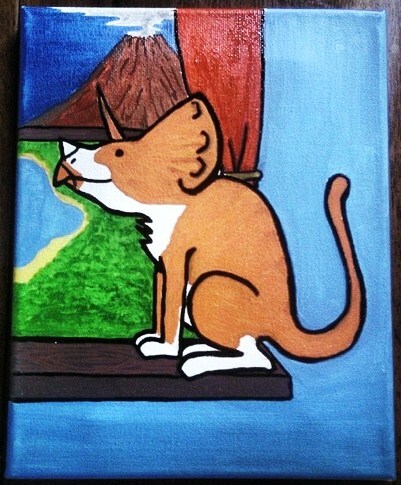 A gift to a friend for his birthday, inspired by his cat Miles. 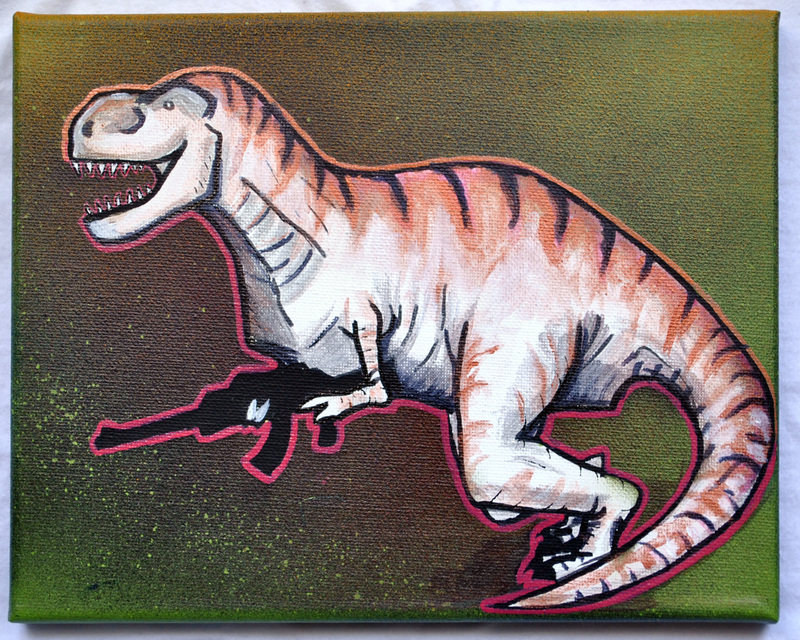 This entry was posted on January 26, 2014 at 1:25 pm and is filed under Uncategorized with tags art, comet, dinosaur, skull. You can follow any responses to this entry through the RSS 2.0 feed. You can leave a response, or trackback from your own site.